While nearly 80% of Florida voters comfortably agreed with a constitutional amendment giving them “a right to have access to any records made… by a health care facility or provider relating to any adverse medical incident,” this so-called “Amendment 7,” which added to Article X, section 25 of the Florida Constitution, has been a hotbed of litigation for nearly fifteen years. With the exception of issues relating to shifting the fees to the plaintiffs/patients for requesting the records, defendant hospitals and doctors have lost nearly all appeals seeking to limit clarify the scope. While there are dissenting opinions in Jean Charles Jr. et al. v. Southern Baptist Hospital of Florida, Inc. et al., those dissents are for reasons unrelated to the central issue and the Charles opinion may be the last substantive word on the Amendment 7. The question was whether Florida’s Amendment 7 was pre-empted by the Federal Patient Safety and Quality Improvement Act (” Federal Act”) and the answer was no. Med mal practitioners, and scholars focused on the forms of pre-emption and statutory construction, will want to read this opinion carefully. But for two conservative dissents which discuss when and whether the Court should hear a case which was dismissed, the Court otherwise addressed the issues with one voice. To set the stage, this was not simply a case of one family pitted against a hospital over the pursuit of records. In fact, it is not terribly clear from the opinion whether there was a lot of actual documentation to fight over. Rather, this was the plaintiff bar and patient/consumer advocacy groups vs. the medical practitioner groups (don’t take that as disparagement but instead an acknowledgment of the importance of the issue). Note the law firms and amici involved. 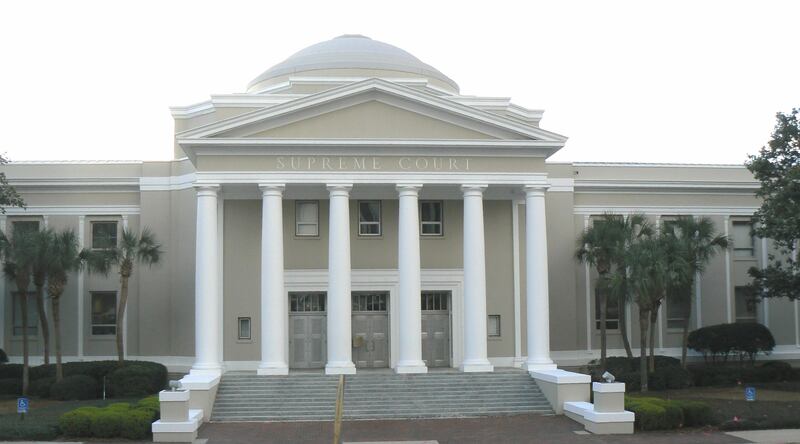 The parties sought to avoid a clear resolution by seeking to dismiss the case but the Florida Supreme Court noted that this was a potential issue of great importance and forced the case to conclusion. We saw a similar situation back in 2013 when parties sought to dismiss a case over foreclosures during the recession (Pino v Bank of NY). Under Amendment 7, a patient or plaintiff is entitled to see a medical provider’s “history of acts, neglects, or defaults because such history may be important to a patient.” The Court noted that nearly 100,000 people die in the US due to preventable medical errors. Thus, Amendment 7 is intended to allow the patient greater information so that they can seek to avoid medical errors. Under the Federal Act, medical providers can voluntarily choose to share medical error data in a confidential system which can be analyzed in order to obtain recommendations to avoid/reduce errors. The Court noted that both the state constitutional provision and the Federal Act were intended to address and reduce medical errors and otherwise improve health care. Once a provider participates in the Federal Act’s “patient safety evaluation system,” the “patient safety work product” is privileged. In this case, the defendant hospital placed all of its adverse incidents reports in the system and then claimed that they were privileged. The First District previously agreed, nothing that the Federal Act had “plain language” on this issue. The Plaintiff’s argument was that the Federal Act “protects only documents created solely for the purpose of submission to a patient safety organization” and did not cover documents “collected and maintained for another purpose or for dual purposes” such as complying with other laws. In Florida, providers are required by state law to document adverse incidents and other events outside of the standard of care. The Court made fairly quick work of the pre-emption issue. Pre-emption is predicated on Congressional intent however the initial starting point is a presumption against pre-emption. Here, the Federal Act created a voluntary system which expressly excluded “report information which is not patient safety work product” and did not “limit, alter or affect requirements… pertaining to information that is not privileged.” Of note, health care is typically an issue left to the states. The Court ruled that, “the documents to which citizens have a right to access pursuant to Amendment 7 are not patient safety work production under the Federal Act’s definition” so there was no express pre-emption. Specifically, “the reports are not privileged… because [Florida law] require providers to create and maintain them, and thus, they were not created solely for the purpose of submitting to a patient safety evaluation” which meets one of the Federal Act exceptions. There was no implied pre-emption since both the Florida Amendment and the Federal Act sought the same goal (reduce errors/improve health care). And, the Court noted that the Federal Act was voluntary and also pointed out that it did not like the concept that an incident report would become privileged just because a provider chose to put it in a certain file or system. Taking the state and federal laws at their face value, they are both designed to improve the health care system. However, the effect of Amendment 7 is to strip the confidentiality from the adverse incident report process. Once providers know that what they write in incident reports is/may be discoverable in a lawsuit, they are likely to be less candid in the reporting and evaluation since a sharply-worded incident report would be an admission of breach of the standard of care (a key element of the plaintiff’s case). Thus, Amendment 7, in the end, does not truly reach its stated goal of improving health care. Cynics, and likely most of the defense bar, would challenge that Amendment 7 was born out of a fight between the plaintiff bar (who wanted an edge by getting their hands on incident reports to improve the value of their cases) and the medical providers back in the early 2000’s. As the thinking goes, this is why Amendment 7 sounds as if it is geared towards improving health care yet, globally, it may be curtailing a facility’s ability to be self-critical and improve. While individual patients might really dig down and do their homework with an Amendment 7 request pre-surgery (assuming the knowledge to do so and sufficient time for a response), I’m unaware of statistics on that practice; I am aware, however, that Amendment 7 requests can be quite complicated and costly which again suggests that it is more a tool of the lawyer than a tool of medicine or the concerned patient. If you have some hard data on this issue, drop me a line, and I will update this post.